Upper Rock Creek for the second time this week. This time I went with a friend of mine from grad school. I have learned a lot from this friend, he has helped me buy a rod, line, reel, etc. When we arrived at Gilles Bridge, it was cold and the weather was erratic. Variable sun, cloud cover, and a combination of snow and hail - lets call it snail or hailow - made for interesting conditions. 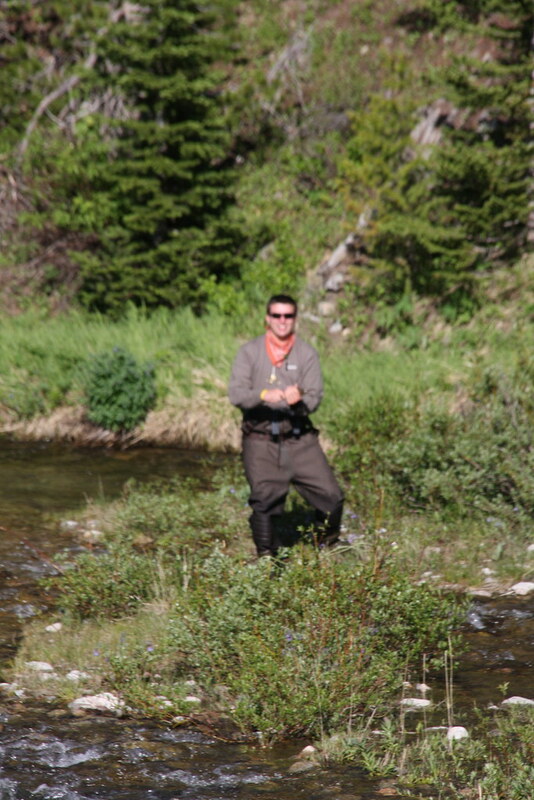 The fishing started slow as all the normally productive sections of river appeared to be fishless. So, we made our way upstream to unexplored waters. After a couple more failures, my friend and I found success. Nymphing with black stoneflies and midge nymphs, both of us lost a fish before catching a fish. After catching my first fish, I posed for my first hero shots of the year. 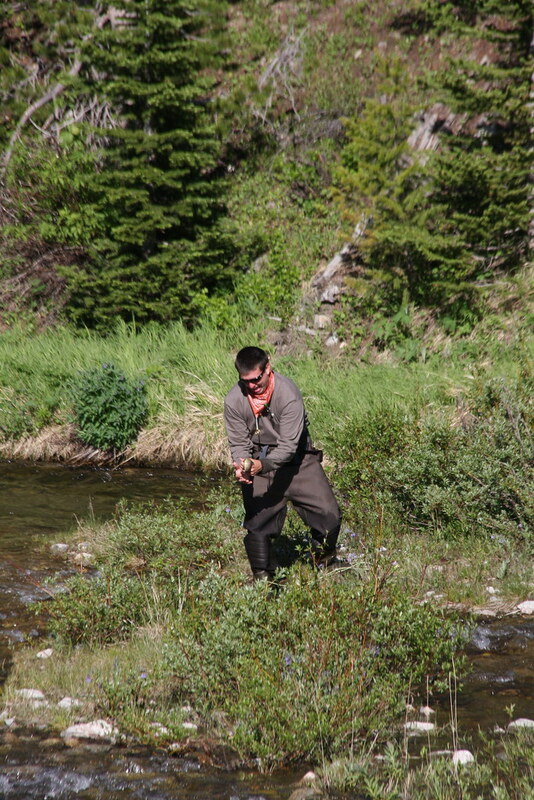 A hero shot is the classic angler with the fish photo. 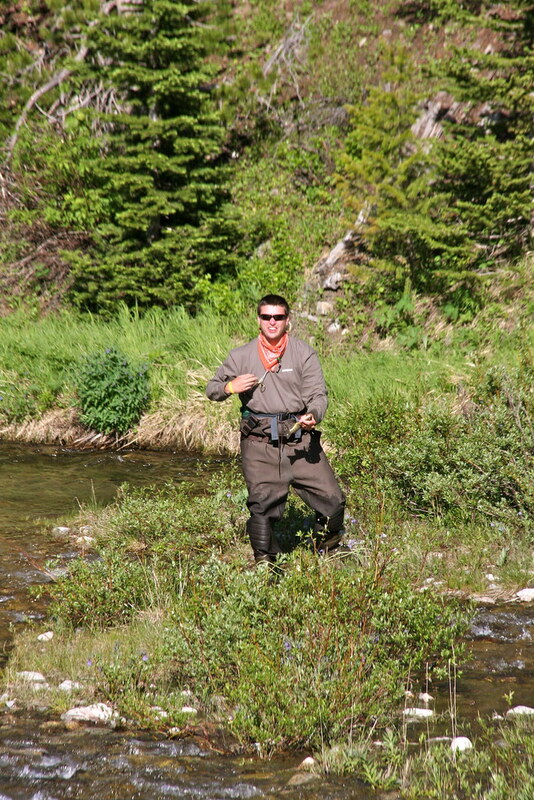 Being new to fly-fishing, I have had enough issues landing and releasing the fish. So, my past attempts at hero shots have been lackluster. 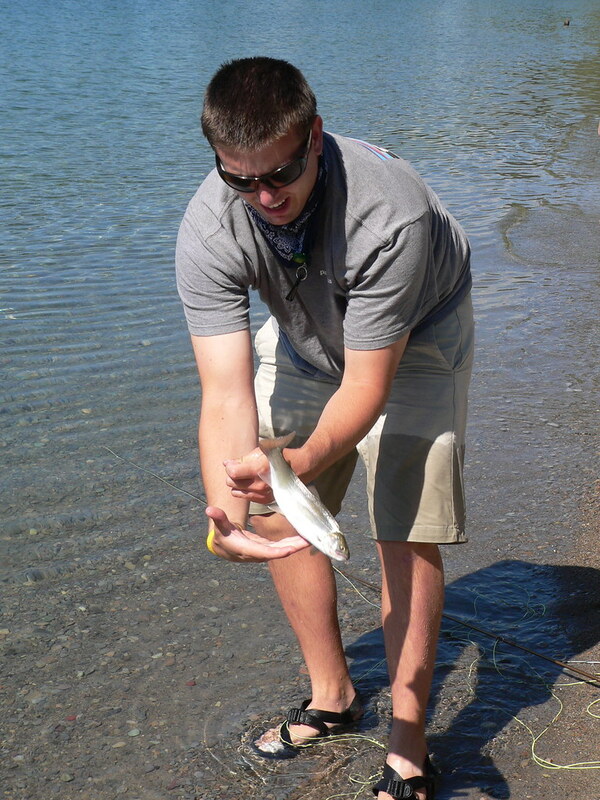 Most of my hero shots consist of the fish, usually small, being fumbled about. Never dropped, per se, but fumbled...and always obscured. The fish never gets the exposure it deserves. Mostly Ivan hand. 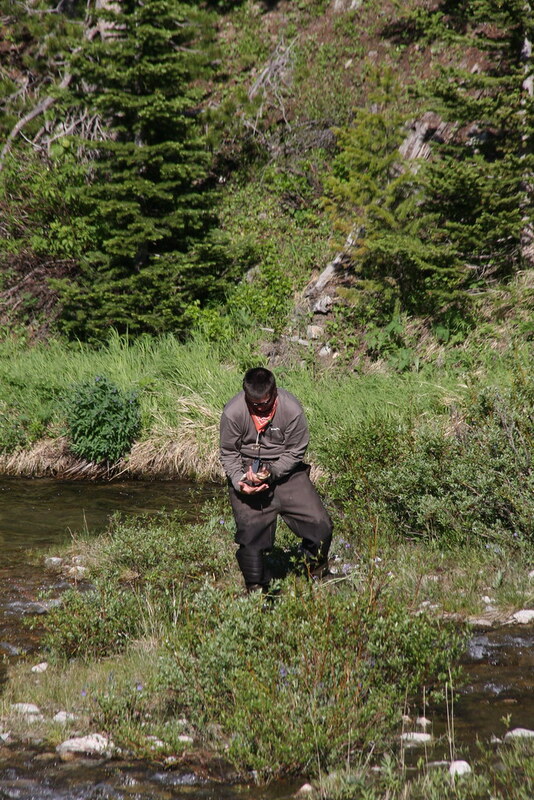 Here I am fumbling a brook trout, the first fluvial trout I caught, from Rock Creek near Red Lodge, MT from summer 2009. 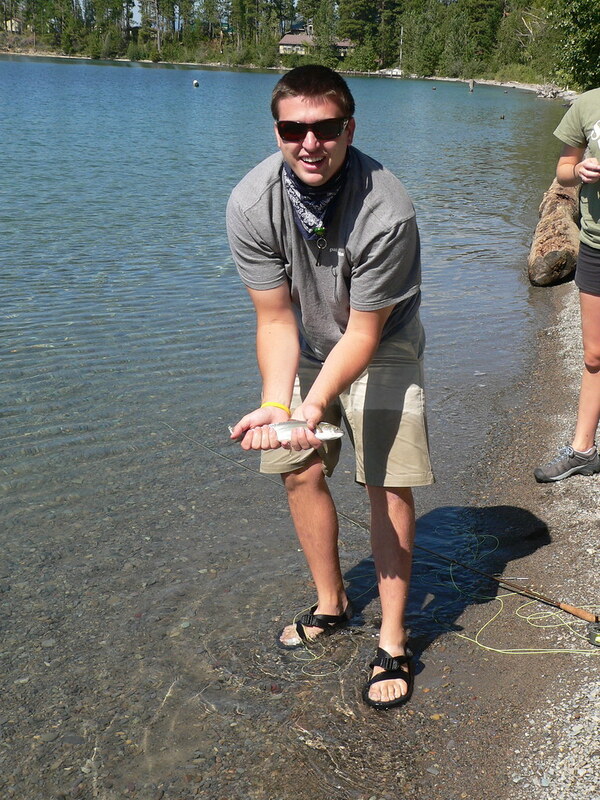 Here I am fumbling, hunching over, and obscuring a Flathead Lake Rainbow. Get in position. 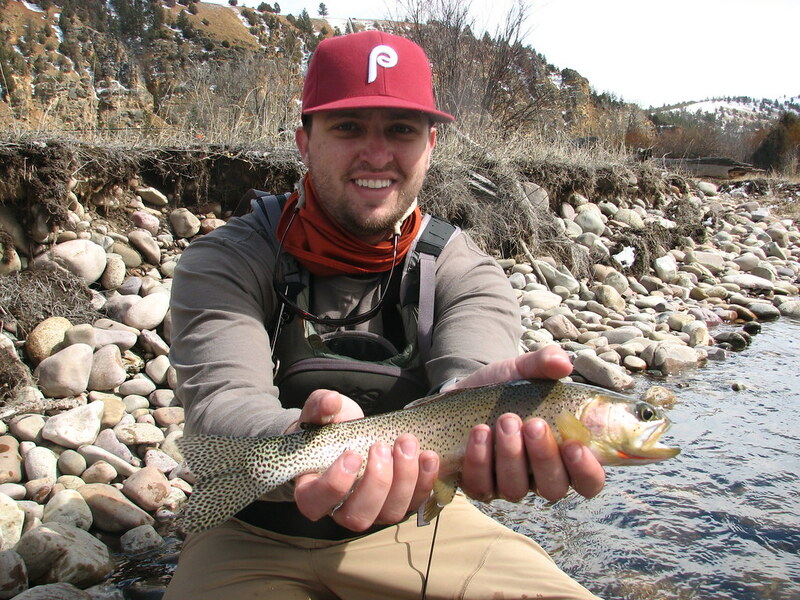 You want to look comfortable when you are holding the fish, so try to avoid awkward positions (such as standing hunched-over trying to hold the fish and look at the camera). 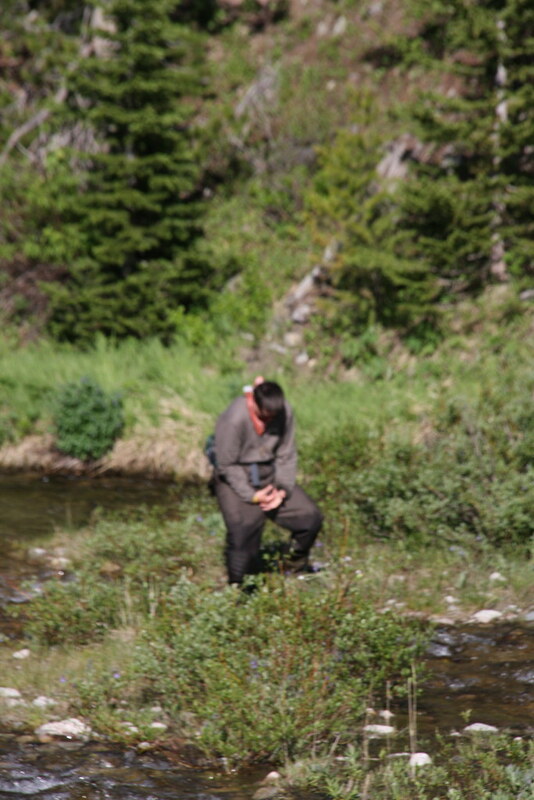 The easiest position is to take a knee in about six to eight inches of water. So, when my chance to take a hero shot came about on upper rock creek, I could only see improvement. Under the guidance of my friend, my first hero shots of the year turned out better than any of my past attempts. One more than the other. 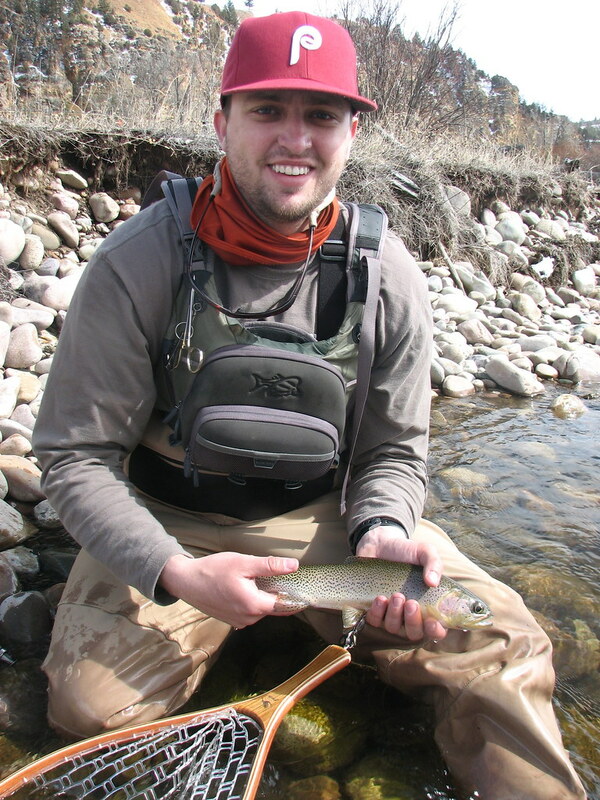 Here I am with a 14-15'' cutthroat/cutbow from upper Rock Creek. I probably should have removed the hat and my fingers are still looming a bit large, but, a great improvement. After completing a good hero shot pose, I promptly stepped on a weed bed in about 8 inches of water, slipped onto my back, rolled onto my stomach, and fell into said 8 inches of water. 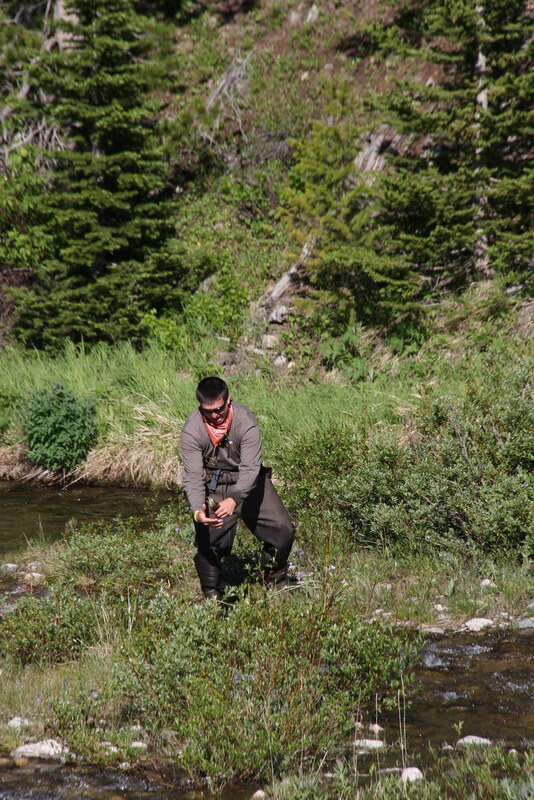 My first fall into a MT river, after four seasons of field work and one season of fishing. I probably shouldn't have been chewing that gum. Too many things to do at once. 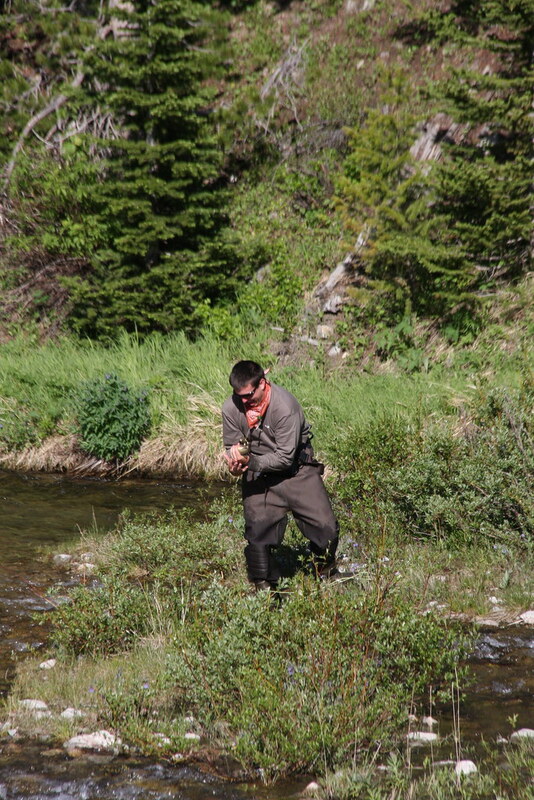 Oh yeah, and I caught 5 (3 cutthroat, 1 brown, and 1 cutbow) - lost 8 (including a couple large cutthroats - 18 to 19''). 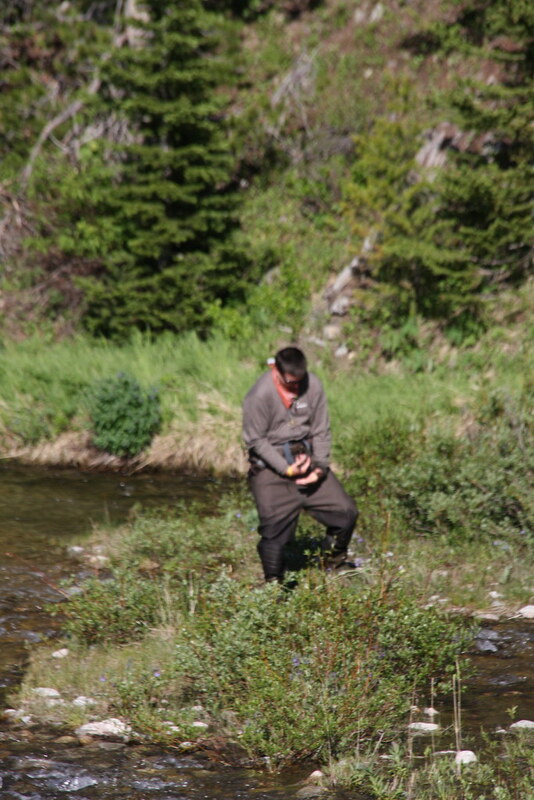 My friend caught 7 (including a large 18'' cutthroat) and lost 5. How come the Flip wasn't on for that pratfall into the river? Now, that's a fishing story.